Katherine Stinson ready for flight. 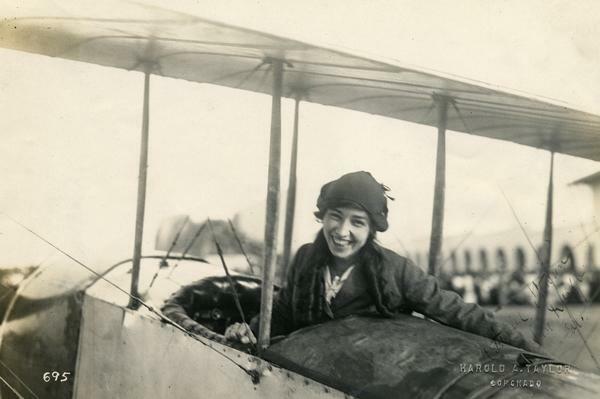 This photograph of Katherine Stinson, one of the most famous pilots of her era and one of the few women exhibition pilots, is from John Kaminski's scrapbook. His acquaintance with Stinson is otherwise undocumented, although it is likely they met on the exhibition circuit or at Cicero Field. It is likely that Kaminski was one of many young men charmed by Stinson's youth and beauty.